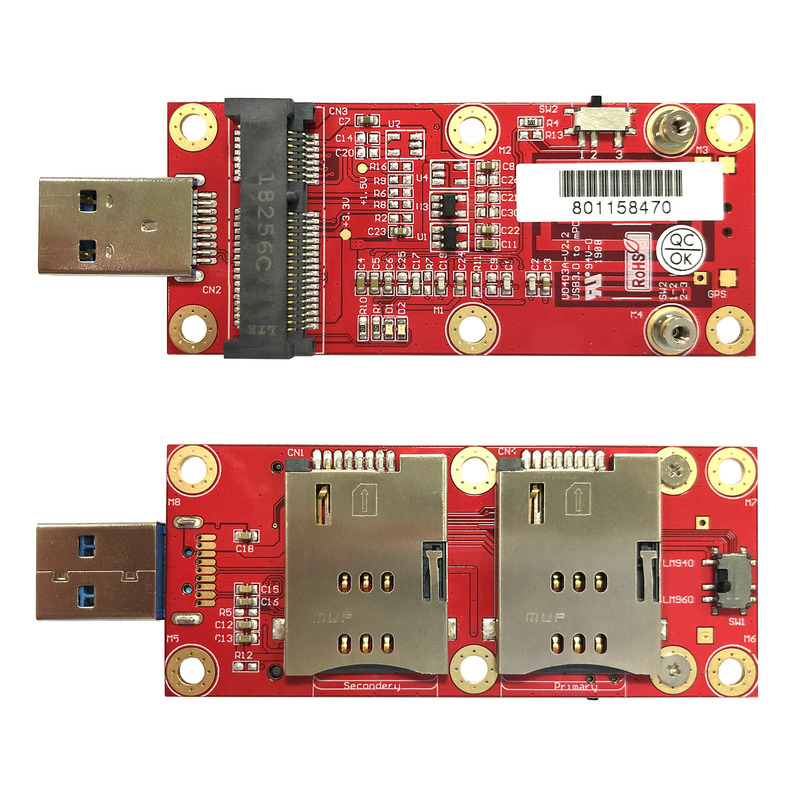 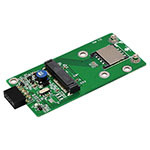 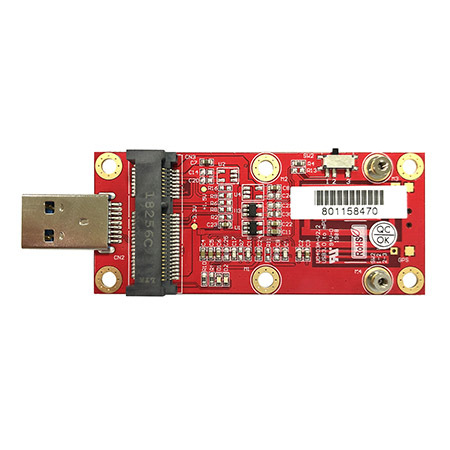 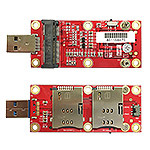 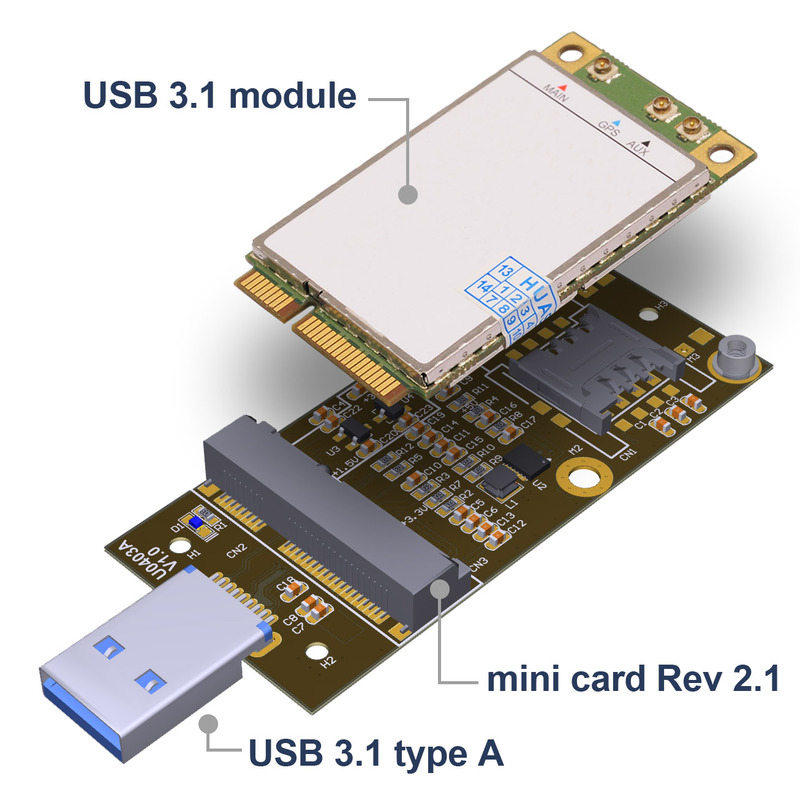 The U0403A adapter is designed for desktop/Embedded system that converts 3G/4G/5G wireless Mini-Card Rev 2.1 to USB 3.1 port. 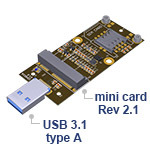 You can insert your USB type minicard such as GSM, HSPA(3.5G), GPS, LTE, 5G cards to this adapter then plug to USB port. 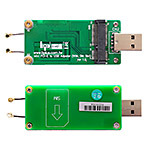 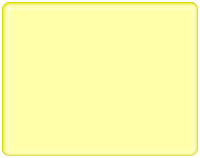 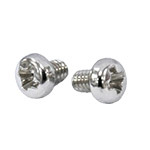 As standard SIM card is provided, you can connect to network carrier with SIM card. 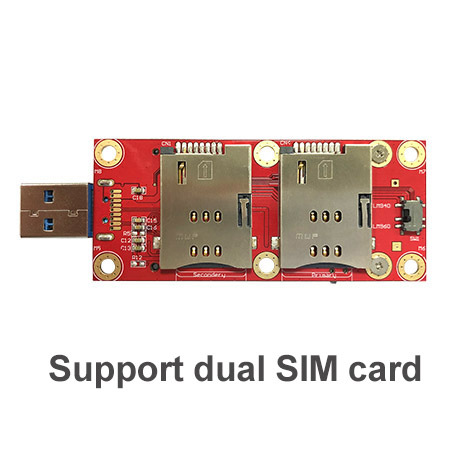 Support dual SIM card connector.